President Donald Trump on Tuesday. 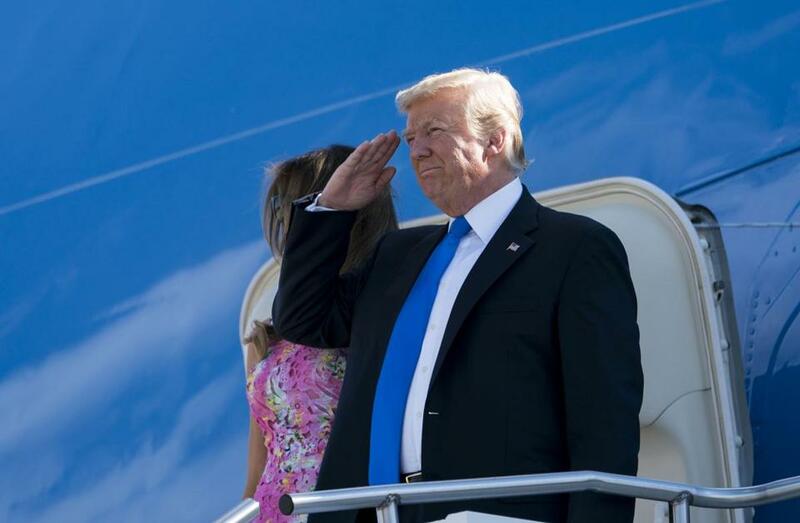 On Twitter Wednesday morning President Donald Trump announced a ban on transgender people serving in the military, citing ‘‘medical costs’’ as the primary driver of the decision. ‘‘Our military must be focused on decisive and overwhelming victory and cannot be burdened with the tremendous medical costs and disruption that transgender in the military would entail,’’ the president wrote. Considering the prevalence of transgender servicemembers among the active duty military and the typical health care costs for gender transition-related medical treatment, the Rand study estimated that these treatments would cost the military between $2.4 million and $8.4 million annually. The study didn’t include estimates of these costs for reservists, due to ‘‘their highly limited military health care eligibility.’’ It also didn’t include estimates for retirees or military family members, because many of those individuals may also have ‘‘limited eligibility’’ for care via military treatment facilities. ‘‘The implication is that even in the most extreme scenario that we were able to identify . . . we expect only a 0.13-percent ($8.4 million out of $6.2 billion) increase in health care spending,’’ Rand’s authors concluded. By contrast, total military spending on erectile dysfunction medicines amounts to $84 million annually, according to an analysis by the Military Times - 10 times the cost of annual transition-related medical care for active duty transgender servicemembers. Looked at another way, the upper estimate for annual transgender medical costs in the military amounts to less than one-10th of the price of a new F-35 fighter jet. Or, 1000th of one percent of the Defense Department’s annual budget. The price of providing medical care to transgender servicemembers, in other words, is negligible, and hardly ‘‘tremendous’’ as the president put it.